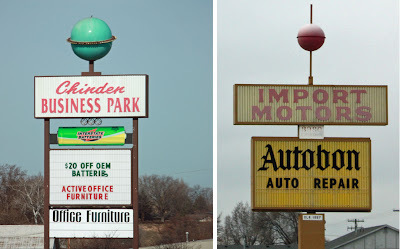 Two vintage globe-topped signs on Chinden Boulevard. Construction Questions: What the Heck? Is This What Happens When You Drink a Slushy?